Already, we’ve seen amazing progress this year that we didn’t think we were capable of. I completed A Year of Good Habits, we paid for a new roof in cash, we saved and invested more money than we ever have, on top of that big expenditure, and thanks to a very robust stock market…. …we managed to increase our net worth by 32.2% this year! At the beginning of this journey, we knew we’d need to increase our net worth by 33.33% each year, over our December, 2016, starting point. But I was pretty sure that progress would be heavily weighted towards Years Two and Three, when our investment returns would be helped by the larger size of our portfolio. In fact, I was pretty sure that we wouldn’t even get in the ballpark of our one-third goal this year, because we knew it would be such a heavy spending/low investing year. 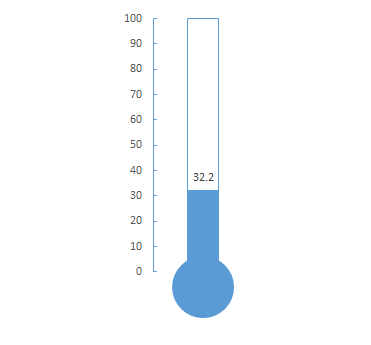 However, despite all of our expenditures, we still managed to get very, very close to our goal. December is the month that Mr. ThreeYear receives his annual bonus, and we used this year’s, as we’d been planning, to pay off the remaining balance on our apartment in Chile as well as pay off our remaining car loan. So we are debt free apart from our principal home mortgage, of which we have nine more years to pay. This month, we finished maxing out Mr. ThreeYear’s 401K, we paid one half of our property taxes, we paid a deposit for our upcoming trip to DisneyWorld (in September), and we paid for our trip to Chile, except for the tickets, which we bought a couple of months ago. Oh, and Christmas gifts. It was really nice to *finally* reach the goals we’d been working toward all year, and see how that increased our net worth. I’m excited to see how our supercharged savings will add up over the course of 2018. Our net worth gains from Year One. 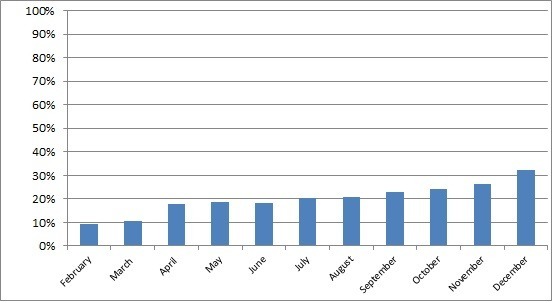 December is historically our month of greatest spending. We spend a lot of money on Christmas gifts, and this year was no exception. In fact, because we came to Chile, we spent more than our normally-high amount for gifts. Also, because we were in Chile for the last two weeks of the month, we spent a lot of money in our vacation category. We took a side trip to San Pedro de Atacama, the driest desert in the world, located in the north of Chile, and spent more money than normal eating out and enjoying the touristy sites around Santiago. Apart from the jaw-dropping amounts we spent this month, I’ve also included percentages for our total spending for 2017. I hope the percentages will be helpful in helping you see how your own spending categories stack up. I was happy to see that if we took away the amount of money we spent on the new roof, our total 2017 spending, including our trip to Chile, was only a few thousand dollars more than what we spent the year before, a relatively low-spending year. Part of that is because we’ve been systematically killing debt (we took on two car payments for cash flow reasons, but we’re done with that, forever I hope!) and have also lowered a lot of recurring monthly expenses over the years. Housing: $2274. This includes the house mortgage (15 year mortgage) and the apartment in Chile. This is the last month we paid a mortgage payment on the apartment, as we have set aside the money to pay it off. We’re waiting to get back to the US to make a wire transfer, since we had a lot of difficulties transferring so much money with our normal transfer service, Xoom. Property taxes: $3698.12. Twice a year. Gotta love those Northeastern property tax rates. Prius: $263.71. No more car payment! We paid off everything we owe on the last car loan. Both of our cars now officially belong to us. Here’s to no more car payments, ever! (I didn’t include payoff amounts in our spending report because I count principal payoff as savings). Gas: $262. We included the gas we bought for our rental and borrowed cars in Chile, and it’s a lot more expensive than US gas prices. Auto Maintenance: $230. Fixing the Prius from this accident, and getting one set of winter tires on, just in time. Groceries: $848.35. We bought very few groceries before we left for our trip, but we did spend $267.69 for a one-fourth share of a neighbor’s pig. Our neighbors grow and slaughter their own pigs, so we stocked up on pork for the winter. We also bought groceries several times in Chile, including a $113.27 trip, which was our contribution to a Christmas get-together. Mr. ThreeYear’s family always welcomes us with a huge spread of food and drinks, and we wanted to return the favor while we were here. Eating Out: $19.18. This only includes eating out done before we left for Chile, which was one trip to a fast-food restaurant and one dinner with a friend. All of the eating out we did while on vacation was included in the vacation category. I could sub-divide it, I guess, but we consider that part of our vacation costs, so I don’t. Kids’ expenses: $508.61. Why, oh why? $180 for piano lessons for both cherubs, then $200 for their ski loan packages. Plus lunches at school and the before-school program fees for the last two months. Entertainment: $11.98. A movie from Apple iTunes. Mr. ThreeYear’s spending: $185.62. Lunch at work, a game, and signing up for a half-marathon in June. Mrs. ThreeYear’s spending: $95.03. A book (Courtney Carver’s latest Soulful Simplicity) and signing up for the same half-marathon. Babysitter: $45. We actually don’t record this spending until our babysitters cash their checks, which can be months after the fact. So this was for a babysitter a while ago. Clothing: $54.01. This was a couple of things at TJ Maxx for our trip–socks, underwear, a pair of pants. Cell phone: $0. I have realized that because I use my cell phone pretty much every day for reasons related to ESOL, I can write this cost off, so next year, I’ll no longer include it in our spending reports. Electricity: $218.84. We had houseguests for Thanksgiving, and it’s been cold, so we’ve used more hot water than normal. Propane: $0. We’re paying for our propane as it’s delivered this year. No deliveries in December. Haircare: $22.95. One cut for Mr. ThreeYear. Home phone: $4.09 through Ooma. Skype: $23.98. Calling in Santiago. Spotify: $9.99. I realized I haven’t been including this in our spending report. Whoops. Home Maintenance: $114.99. Our monthly curbside compost service ($20), and a service call to check on our washer. Our washer kept shorting out, and my brother-in-law told us it was the electrical outlet, but we had the washer repairman over anyway. We paid $90 to learn that nothing was wrong with the washer and it was probably the electrical outlet. Lesson learned. Housekeeper: $50. We hired a housekeeper and this was her Christmas bonus, as she didn’t come at all in the first two weeks of December because we kept having snow days. Birthday Gifts: $20. One birthday present for a friend of Little ThreeYear’s. Christmas Gifts: $1584.77. No, we didn’t get anyone gold-plated britches. We bought a huge amount of gifts, plus one very expensive gift for Junior ThreeYear (and, let’s be honest, Mr. ThreeYear), a $400 Nintendo Switch. We don’t ever spend that much on Christmas gifts for the kids, but he’s been playing on an XBox 360 we found at the dump five years ago (Mr. ThreeYear has a knack for fixing up other people’s trashed electronics), so we splurged. Mr. ThreeYear actually financed the purchase with money he’d been saving up for the last year with his health incentive plan at work. What a great dad. Medical: $116.99. Last month of paying out in this category, because next year we switch to the all-inclusive health plan!! High deductible health insurance doesn’t work for us. Vacation: $4134.75. This isn’t all from our trip to South America, believe it or not. We paid $1088 towards a Disney trip we’re taking in September. We spent a small amount renewing Mr. ThreeYear’s passport and paying for a notary. The rest is from flights, hotel, and rental car, tours and eating out in Atacama, food, entertainment, and transport in Santiago, and our “bonus day” in Toronto. Long story short, we were supposed to fly LaGuardia to Toronto on Friday night and catcha flight to Santiago in Toronto. After a looong day of cancelled flight after cancelled flight in LGA, we got on the last flight out to Toronto, but we missed our flight to Santiago (we arrived in Toronto at 2:30am and the Santiago flight left at 11:45pm). So we stayed the night in Toronto and engaged in incredibly expensive, but fun, tourist attractions downtown the following day. Then, that night, we caught a flight to Santiago. Total: $14,911.91. Without the property taxes, our spending was $11,213.79. Without vacation spending it was $7079.04, still one of our highest months of the year. I’m looking forward to publishing spending reports in the new year, to see what the effect of lower medical costs, one less mortgage, and no car payment will be. If you’re wondering how we were able to pay off $38,000 in debt and build a high net worth in less than ten years, despite lots of mistakes and a late start, read more here. (Part of our success comes from keeping spending low on our housing and cars. We’ll also be buckling down on our food spending next year, too). Here is our yearly spending, broken down by category (I did not include all mortgage spending in the total–I only included mortgage interest, as we include mortgage principal pay down in savings). It’s encouraging that the “Home Maintenance” category is such a large percentage of our spending–in 2018, I suspect that our total spending should drop precipitously. Our 2017 spending broken down into big categories, with percentages attached. We’ve had an amazing vacation in (very, very) sunny Chile for the last three weeks, but now the time has come to pack up and fly home. We’re preparing for subarctic temps when we get back (we read that it feels like -33C yesterday–no idea what that is in F) and a return to school and work. We have a long winter ahead of us, but we’re ready for skiing and sledding, and getting outside as much as we can, to counteract the wintertime blues. 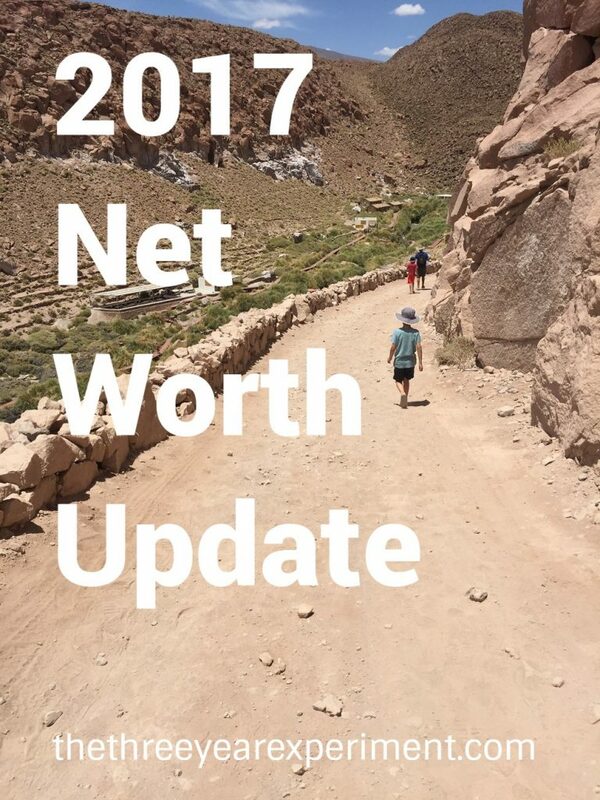 I’ll see you in February with our very first net worth/spending report from 2018! I have high hopes for lower spending–let’s see how it goes!